Do You Need Help With Budgeting? T&E Care volunteers will meet with individuals or families to go over basic budgeting, or more advanced budgeting if needed. Volunteers are also available to help with investments. All meetings are confidential, either in your home, the library, or somewhere local of your choosing. Please contact us to set up a meeting. Does Your Money Control You – Or Do You Control Your Money? If you pay a lot of late fees, and/or run into trouble paying your bills each month, but feel you should be able to make ends meet, we would be glad to meet with you and help you set up a budge, contact us if you’re interested. We have relationships with a few financial advisers who can work with you to develop a plan to save money, and invest the saving. The biggest tip we can offer is to consider a zero-based budget, in which every dollar of income is earmarked for specific outlays, such a mortgage, utilities, car expenses. food, savings, entertainment, etc. Every month, income minus outgo equals zero. Studies show that folks who use zero-based budgeting pay off 19% more debt and save 18% more money than those who don’t. See below for more tips. In the meantime here are some great websites for you to check for great budgeting tips and techniques. Note: some of these websites have ads to help pay for the information they disperse. Avoid these ads as most will entice you to spend the money you are trying to save. Mvelopes is an interesting way to think about budgeting. There is a fee after the free trial, but just looking at the trial can be helpful. Pear Budget is an interesting way to think about budgeting. There is a fee after the free trial, but just looking at the trial can be helpful. Open Hearth, Inc. (OHI) is a private non-profit organization serving Chester County residents with housing, transportation, and financial management. OHI offers FREE personal financial workshops to Chester County residents at the Exton Mall. All workshops are strictly educational (no product sales). Workshops range in topics from budgeting, family finance, and education to home purchasing. OHI also operates a program entitled the Family Savings Partner program that helps individuals save money towards a specific goal (either education or home-ownership) and matches the amount they save. This program would be especially helpful for high school students (juniors and seniors) who are planning on attending college. When we learn of good budgeting tips we’ll post them on this page. Money management needn’t be complicated, the old-fashioned ways work better than any complicated investment idea. Track spending: Every time you spend money, write it down. It forces you to think about where and how you’re spending your money. Plus there is no more hiding from yourself how much you’re spending. Pay cash: It’s impossible to go over budget when you use cash. Here’s an idea, whenever you use a credit card put that amount of cash into an envelope marked “for credit card bill.” That way you’ll always have the money to pay my credit card bill. Use the envelope system: Put weekly or monthly allotments of cash into envelopes to keep on budget. You’ll have your grocery, gas, lunch money, etc all anticipated at the beginning of the week. Didn’t spent it all? Then the next week’s envelope grows fatter. Spend less than you earn: One idea is to ignore raises and not spend more as you earn more through the years, the “extra” goes to savings. Birthday Savings #1: A good way to set up a savings plan is to save each year the equivalent of your age, plus 2 zeros. So when you are 20 you would save $2,000. When you are 21 you’d save $2,100. If you can get in the habit of this when you are young, then the extra $100/year won’t seem like a hard goal. If you start at the age of 20 and save like this until you are 60 and you are able to get 1% interest the first 10 years, and 4% interest the other 30 years, by the age of 60 you will have saved over $325,000! Just think how much more you’d have if you started at age 10 and went to age 65. Using the same 1% for the first 10 years and 4% the rest of the time, you’d then have saved over $550,000! Consider this, if you took the same amount of money each year starting at your 10th birthday plus 2 zeros and put it under a mattress instead of in a bank and growing it with interest and compounding you’d have a total of $200,000 at the end of 55 years. The power of compounding can make a HUGE difference. Set up a savings account and start to save NOW! Birthday savings #2: If you can’t free up your age + 00 at the start of each year (as in the example above) then try to save your age every week. When you are 21 you should save $21 each week, etc. If you start doing this at age 20, then in 40 years, if you can invest at 1% the first 10 years and 4% after that, you’ll have over $175,000. If you start at age 10 and do this until the age of 65 (1% the first 10 years, then 4% each year after that), you’ll have almost $300,000! If you took this same money and put it under your mattress you’d have around $100,000 at the end of the 55 years. Clearly still a good amount, but you walked away from $200,000! Bigger Bucks = Bigger Savings. Marketing researchers call it the denomination effect. Larger bills feel more valuable than the equivalent amount of money in smaller bills. That’s why we’re more reluctant to spend a $20 bill than a $5 bill. Want to avoid impulse buys and save money? Carry a $20 bill instead of 4 $5 bills. Pay your bills as they arrive. Research shows that people who pay their bills as soon as they arrive are happier and have a better grip on their finances. They had about a third less credit card debt and were more able to stash away savings. Why? Paying bills fast gives you room to maneuver. For example, if you get and pay a high heating bill, you can immediately cut back on discretionary items. It’s simpler, easier, and leads to fewer mistakes than doing bills all at once. What are the real-world effects of slow paying on credit card debt? 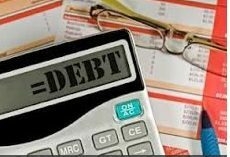 If you pay the minimum of 2% on $1,000 of debt at a typical interest rate of 19%, it takes 8 years and 4 months to pay off the $1,000 dollars. (That means you paid $950 in interest as well! Almost as much as the original debt!) If you increase your monthly payment to 5.8% on $1,000, and other factors remain the same, it will take only 1 year and 9 months to pay off the debt. (That means you paid $178 in interest. Not quite as bad, but that is still REAL money!) Credit card debt is one of the biggest concerns people have these days. One easy way to cut credit card debt is to buy only the things you can afford to pay for in cash. How to pay for a vacation or something special you WANT? First remember that something you NEED is different from something you WANT. Both cost money, but the way you save is different. For WANTS like vacations the rule of thumb is that the vacation should not cost more than 1 week’s salary. Don’t forget to budget for ALL the costs hotel, transportation (airfare, airport parking, gas, tolls if you drive, etc. ), all food, souvenirs, events/activities, etc. THEN add more for the OMG moments (good or bad). Decide when you WANT to go and then set up a saving schedule, how much will you need to save each week to get to your goal by the time you go on the trip? Do not use a credit card unless you expect to pay the entire bill at one time, otherwise the trip costs will be much more than you budgeted. You can/should set up a separate bank account for the trip/WANT so you are sure to watch the money grow as desired but be sure the account doesn’t charge fees that will cause you to lose money. Once you have reached your goal as long as your NEEDS aren’t behind in payments, then go and enjoy the WANT.